Our first visit, and it won't be the last. A city centre restaurant which provides service and food to be proud of. All around us were customers with non-native accents who had managed something I haven't in 40 years - find a Glasgow city centre restaurant which ticks all the boxes. 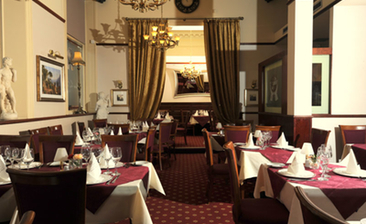 Efficient service, great food, comfortable surroundings and excellent toilets. The only disappointment was the quality of the drinks included in the Variety Menu - very cheap and best avoided. However, their hard work and attention to detail is paying off. The 5pm reviews and a packed Monday evening restaurant confirm that.